1) A more clever approach to “snapping”. The idea is that when drawing (or potentially moving points), the origin and boundaries will snap to existing items in the scene, as well as the grid. 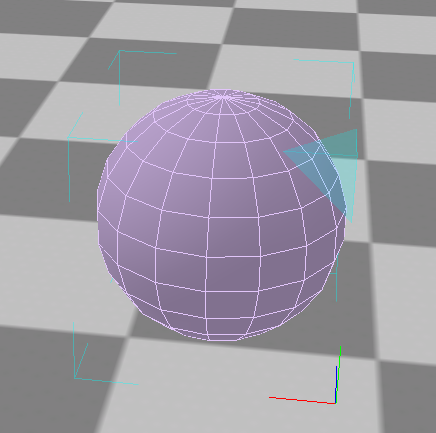 This will make it easier to align objects, as well as scale shapes to existing shapes etc. 2) The ability to draw a single face on another face, essentially “cutting” it into place. This is trickier than it may seem on the surface. I’m still trying to come up with a good method to do it that fits with how v10 works. This has set me back considerably time-wise. I’m unable to install 3DC10. I tried installing the version posted early December but nothing installs it simply tries to open then crashes. In your post you say we should remove ‘prerequisites’ first but there is nothing visible in my installed apps. Should I be looking a bit deeper, am quite happy to delve in the registry if necessary? It should show up in the standard windows “uninstall” list as “3DCrafter Prerequisites”. It should defnitely be there since it needs to be installed before 3DC 10 can run. Actually, when you install 3DC 10, it should ask to install it, so if it doesn’t that is probably the problem right there. When installing 3DC10 using the latest link from your post it doe not attempt to install anything. Also there is no current install of 3DC10 on my PC only 3DC 9.3. Is there an up to date or full installer available. Is there any update yet on the progress with 3DC10? Yes, I’m back at work on this. I got delayed by another project that went really off schedule and that threw 3DC 10 off. I’ve come up with an algorithm for drawing a face on an existing shape, and did some “proof of concept” testing. It seems fine. This really had me stumped when I last looked at it a few months ago. So, that’s big progress! I’m really enjoying the boolean operation re-write. It’s taking a lot of time but so far the results are quite good. I don’t have any timings yet, but I think it should be quite a bit faster as well as more accurate. I finally got a timing on the new boolean operations. At this point they are abouit 2x as fast. But they could get slower since I’m going to be implementing some improvements that should help with reliability, and they require additional processing. I’m confident the new boolean operations will be 2x as fast and considerably more reliable. That’s a minimum. Make that 5x faster. That’s probably the best I can realistically do. Boolean operations were one of the first things I wrote for 3DC way back 17 years ago. It’s nice to give them a re-write, and in a new language. Something a little more interesting, I think… I’m working on a new scaling feature. Adding “handles” to the selection rectangle of a shape. This allows you to drag to scale in whatever direction you would like. The new “scale” feature is done for Preview 2. Next on the list is a new “snapping feature” that helps align shapes within a scene. It goes together well with the new scaling feature to improve alignment/sizing of shapes within a scene. That should take me the rest of the week I think. I had a major breakthrough yesterday. I found a way to bypass an issue 3DC’s been having with very complex models. I’ve started reusing com objects rather than releasing them and creating new ones, and it is producing really positive results. I’ve seen performance improve 2x in some cases, and I have a really strong feeling that there will be stability improvements as a result as well. Today I’m working on the new shape alignment “snap” features. So far so good. It should be working early next week, and then there’s just “draw face on shape” outstanding. Things are still a go for Preview 2 about two weeks from now.